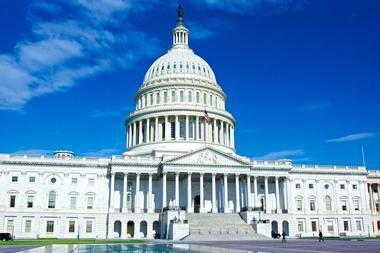 Washington, DC is an awesome destination for families with a diverse choice of attractions for kids of all ages. 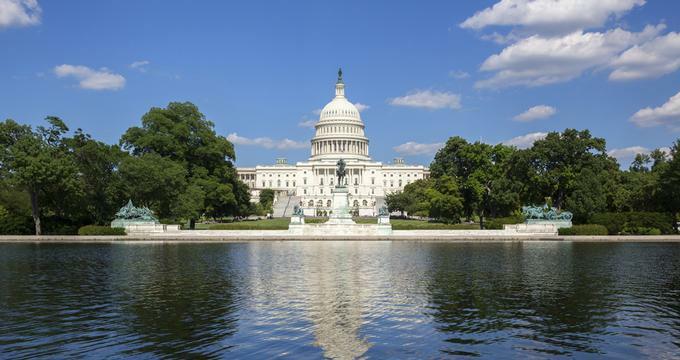 Take a free guided tour of the Library of Congress, learn about the First Amendment in an interactive way at The Newseum, and visit the beautiful National Zoological Park. Here are the best things to do in Washington, DC with kids. Next read: Romantic Things to Do in DC. 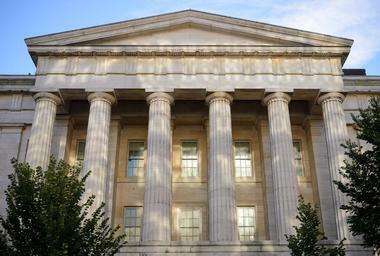 The Library of Congress is not only the nation's oldest federal cultural institution that serves as the main research resource of Congress, but it is also the largest library in the world. It has over a million books of photographs, maps, and manuscripts in its archives. Fun and enjoyable for the whole family, the Library of Congress offers an array of guided tours, interactive exhibitions, and kiosks to explore. Enjoy a free guided walking tour of the beautiful building in which the library is housed and learn all about its architecture, art, and history, as well as the work and history of the Library of Congress. The Young Readers Center was designed specifically for young people who love books, and it offers readings groups and story times. The Newseum is a dynamic, engaging, and interactive museum that showcases and outlines the five rights guaranteed by the First Amendment and the freedom the American people enjoy because of it. Located on historic Pennsylvania Avenue, the modern museum features a range of immersive exhibitions, state-of-the-art theaters, and hands-on activities that present and highlight the history of the First Amendment. It creatively uses various forms of media to display stories from the past and present. A variety of programs are broadcast around the world each week from the multiple state-of-the-art in-house studios, and the museum’s 15 theaters show award-winning videos and films throughout the week. The Newseum is one of the best things to do in Washington, DC with kids. Making up part of the famous Smithsonian Institution, which includes 18 museums and galleries and the National Zoo, the National Zoological Park is the world's largest museum and research complex, and it always promises a fantastic day out for the whole family. Located in Rock Creek Park in the heart of Washington, the zoo covers covers over 160 acres of land and consists of various habitats for more than 2,000 animals, including the well known resident giant pandas, Bao Bao, Tian Tian, and Mei Xiang. The zoo is also home to golden lion tamarins, sloth bears, and Asian elephants, as well as marine animals, reptiles, and amphibians. The zoo also houses a research, conservation, and education center for endangered species such as the red panda and the river turtle, and it offers an array of educational classes, camps, and programs for children of all ages. Home to the world's largest collection of aviation and space artifacts, the Smithsonian's National Air and Space Museum is a world-renowned institution that provides information encompassing all aspects of human flight. The museum is located in two historic buildings that house a vast collection of items and artifacts relating to the space and aviation industry. 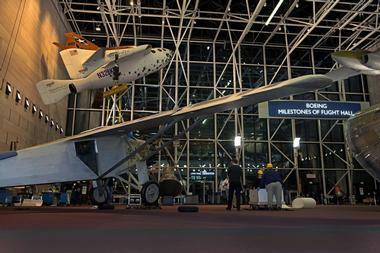 It features a range of exhibitions on aviation, planetary science, and space exploration. The museum is located in the heart of the Smithsonian complex in Washington, DC, and boasts some of the world’s most awe-inspiring icons of flight. The Steven F. Udvar-Hazy Center, on the other hand, is situated near the Washington Dulles International Airport and showcases a variety of aircraft and spacecraft, as well as collections of aviation and space artifacts in vast hangars. Both museums present a variety of educational programs, activities, and performances that reflect the American spirit and enthusiasm for the science and technology of flight. Home to one of America’s most influential founding fathers, the Thomas Jefferson Memorial stands as a symbol of liberty, reflection, and inspiration for visitors from around the world. Known as the founding father of America, Thomas Jefferson served as the first Secretary of State for the United States of America. Designed by architect John Russell Pope in a Classic Revival style, the memorial stands directly in line with The White House. 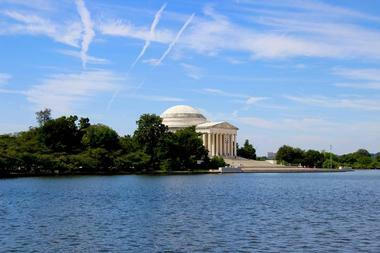 Spectacular cherry blossom trees and a reflective Tidal Basin with dark, tranquil waters surround the memorial. It is open 24 hours a day, 365 days of the year, and National Park Service Rangers are on hand to provide interpretive programs at certain times of the day and to answer questions. See and experience Washington, D.C. from two wheels with an entertaining and informative bike or Segway tour of the city. Bike and Roll DC offers tours that explore various areas of the city, including the National Mall and Mount Vernon Estate and the Smithsonian Institute. See all the top attractions of the city under sunny and clear blue skies. 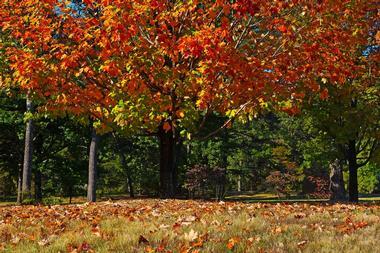 Select from a variety of tours, from guided and self-guided tours to special group tours. The tour group has a large selection of custom-made Trek bicycles for every body shape from children to adults. Knowledgeable tour guides will lead you through the city and provide fantastic insights into the city’s history and heritage, along with interesting snippets of lesser known information. All visitors are provided with safety equipment such as helmets, city maps, and a flat tire kit. Dedicated to inspiring curiosity, discovery, and exploration of the natural world through a world-class range of collections, exhibitions, and educational outreach programs, the National Museum of Natural History (NMNH) is one of the world’s preeminent museums and one of the top DC attractions. 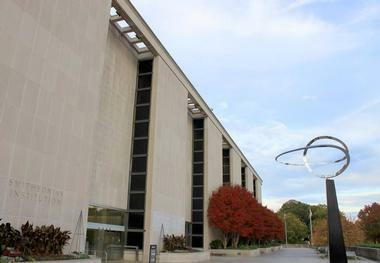 Located on the National Mall and administered by the Smithsonian Institute, the Museum has an impressive collection of over 126 million specimens, ranging from animals, plants, rocks, and minerals to fossils, meteorites, and cultural artifacts, all of which are displayed in over 350,000 square feet of exhibition space. The museum’s new Q?rius is a first-of-its-kind interactive and experimental environment in which visitors can connect science with everyday life through hands-on activities, adventures, and experiments - a must for the kids. The Mitsitam Native Foods Café is a casual eatery located in the Smithsonian National Museum of the American Indian that offers a menu replete with native foods and indigenous cuisine found throughout the Western Hemisphere. The café offers a range of seasonal menus throughout the year that reflect the cuisine and cooking techniques from different regions, including the Northern Woodlands, South America, and Mesoamerica. Menu favorites include maple and bacon cornbread from Vermont, grilled bison steak from the northwest, and white corn tortillas from Mesoamerica. Mitsitam Native Foods also caters special events and is open from breakfast to late afternoon lunch. District Warf is a mile-long stretch of waterfront in Washington D.C. along the Potomac River, just south of the National Mall. With a long and rich history, it is now ready to come to life again with hip restaurants, fashionable boutiques, residences, and businesses, all enjoying monumental views of the river. The first phase of District Wharf is already complete and fully thriving. Each area of District Wharf has its own distinct personality, and the mile-long waterfront neighborhood is a delight to explore. There are areas catering to foodies right next door to the city’s best shopping, down the street from a verdant park open for relaxation or exercise. What was once a Native American settlement, then later L’Enfant’s vision of a gateway for the nation’s capital, a military hub, and even a fish market, is now a wonderful destination for residents and visitors. GCDC Grilled Cheese Bar, or simply GCDC, is the home of the perfect grilled cheese sandwich. Open for lunch, dinner, and late night libations, GCDC serves a variety of mouthwatering homemade sandwiches, soups, and sides, all of which are freshly made in-house, as well as a full service bar, a popular gathering place in the evenings. Sandwiches are made using freshly baked bread, which is delivered daily, and they are packed with a variety of delicious toppings such as short ribs, chicken, chorizo, or roast beef. Their meats and other ingredients are sourced from local farmers and producers. The beverage menu features beer from local breweries such as Atlas Brew Works and DC Brau, as well as a range of cocktails and spirits, and the café supports the local community by exhibiting artworks by local artists. 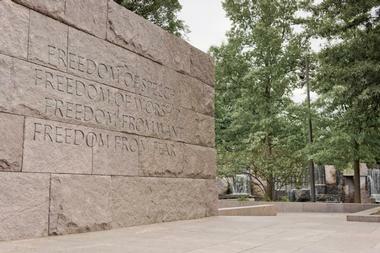 The Washington Monument is a 555-foot marble obelisk that towers over Washington, D.C. It was built in honor of the United States' first president, George Washington and stands today in honor of his greatness. Designed by Robert Mills and completed by Thomas Casey in 1884, the monument is built in the shape of an Egyptian obelisk and was once the tallest structure in the world. Visitors can take guided tours in the monument’s interior. Once inside, they can enjoy unobstructed panoramic views from the observation deck 500 feet above the ground. Just below the observation deck is a museum, which presents the history of the monument and delineates the events leading up to its construction. Visitors can stroll through the beautifully manicured gardens around the monument and take in its splendor free of charge. For delicious, freshly made soups straight from the kitchen, head to Soupergirl. Based in two locations in the city, Takoma and M Street, Soupergirl specializes in homemade soups, chowders, salads, and sandwiches with a hearty range of flavors, including Tuscan white bean, summer minestrone, and zucchini red lentil. All soups, sandwiches, and salads are made with locally sourced ingredients to support sustainable farming and are created from scratch every morning. Soups are served with a choice of sides such as baguettes, bread rolls, corn bread muffins, or croutons. Soupergirl is open for brunch, lunch, and early dinner, and its soups can be eaten in or taken away. The restaurant also caters private events. 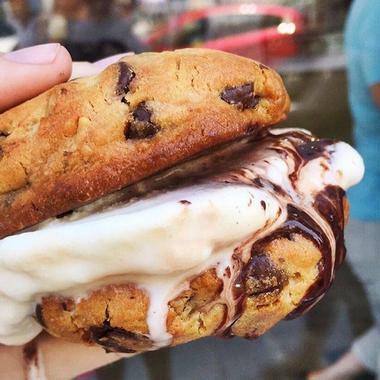 Crisp, clean and fresh, with high ceilings and Adirondack chairs on the front patio overlooking the river, the Yard's Park Ice Cream Jubilee shop makes you feelcool even before you taste the ice cream. Everything is made in small batches, of natural ingredients. Depending on the season, expect mixes such as Mango Habanero, Sweet Potato Pie, Pear and Brandy or Bourbon Caramel. No matter what time of year, Caramel Popcorn is everyone's favorite.There is alcohol involved in many flavors, but fear not - while you will enjoy the flavor, there is not enough alcohol to get you drunk. You can find Ice Cream Jubilee flavors in many grocery stores in Washington DC. Located on historic M Street in Georgetown, Old Glory is the place to go for authentic and delicious barbecue. Capturing the essence of America in their mouthwatering smoked meats and poultry served hot off the grill, Old Glory features an open kitchen with a huge open barbecue pit, a classic 1901 Silver Dollar Four Winds hand-crafted bar that helps create a lively atmosphere, and a family-friendly home-away-from-home ambiance. The menu offers a range of slow-cooked meats served with regional house made Bar-B-Que sauces, freshly made sides and salads, and an ample beverage list. Old Glory also offers a special kid’s menu with hamburgers, BBQ ribs, and classic macaroni and cheese. Located on Constitution Avenue NW in Washington, D,C., the National Museum of American History is part of the world-renowned Smithsonian Institution and offers visitors an informative and educational insight into America’s history. Opened in 1964 and now considered a National Historical Landmark, the Museum features an extensive collection of over three million artifacts, ranging from sheet music written by musical legend Duke Ellington to the ruby slippers worn by Dorothy in The Wizard of Oz, as well as the favorite item of all - the Star-Spangled Banner Flag, which flew over Fort McHenry in Baltimore during the War of 1812. Centrally located in the heart of Washington, DC, the museum is situated within walking distance of a number of other landmarks and monuments, including the White House, the Lincoln Memorial, and the World War II Memorial. The National Mall is also located nearby. Fuddruckers is a popular franchise that serves specialty hamburgers, sandwiches, salads, and desserts. The burgers are made with 100% USDA All-American, premium cut beef or chicken, freshly baked bread rolls, and garden-crisp salads. You can enjoy golden fries or choose from a selection of other sides to accompany your meal. Special menus for children under 12 feature a variety of meals such as hamburgers, hotdogs, grilled cheese sandwiches, and chicken tenders and are served with a drink, a cookie, and a choice of side, such as fries, BBQ beans, coleslaw, or fruit wedges. Operated by the United States Department of Agriculture’s Agricultural Research Center, the United States National Arboretum is a garden open to the public. Visitors can admire the various trees, shrubs, and herbaceous plants that have been cultivated for educational and scientific purposes. Located in northeast Washington, D.C. just a short walk from the Capitol Building, the arboretum is accessible from entrances on New York Avenue and 24th and R Streets. Menomale Neapolitan pizzeria will spoil you for all other pizzas. This small, understated place in the Brookland neighborhood of DC makes pizzas the way they should be made according to the Associazione Verace Pizza Napoletana in Naples, Italy. The rules are very strict, and Menomale owners Ettore and Maria Rusciano had to study to be certified as real pizza makers, or pizzaioli in Italian. 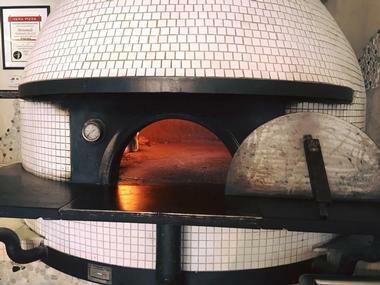 The rules demand that pizza is baked in a wood-burning hand-made oven that reaches temperatures of up to 900°F. This is one reason why Menomale pizzas taste so unique and have deliciously charred edges. Another reason for the incredible taste is the ingredients. All are imported from Campania Italian region – 00 flour, San Marzano tomatoes, Fior di latte mozzarella, and extra virgin olive oil. Pizza toppings are fairly simple but of great quality, from hams and sausages to artichokes and arugula. There is a small but good selection of wines by the glass and some interesting house cocktails. The famous white dome of the United States Capitol in Washington, D.C. is one of the world’s most recognizable symbols of the American people and their government. Designed by Frederick Law Olmsted in 1874, the complex is not only an architectural achievement in itself, but it also serves as the meeting place of the nation's legislature and houses an outstanding collection of American art. Home to one of the largest collections of American art in the world, the Smithsonian American Art Museum features an unrivaled collection of artworks, and it highlights America's rich artistic and cultural history from the colonial period to the present. Housed in a National Historical Landmark building in the heart of Washington's downtown cultural district, the museum’s collection features works from a range of periods, including African American and Latino art, masterpieces from the Gilded Age, and American Impressionist paintings. 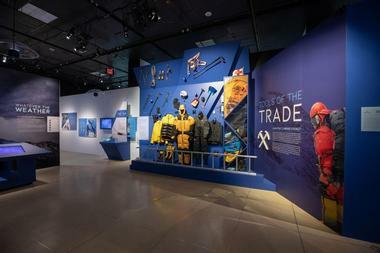 The museum also showcases examples of American visual culture, such as photography. Dedicated to facilitating understanding and delight in American art, the museum also offers classroom and video conferencing, gallery talks, Girl Scout programs, and community outreach programs for adults and children.